I don't know about you, but my feet are screaming, "take the socks off already!! "Spring seems to really be taking it's time getting here, but have no fear, the espadrille is here to transition you into the warmer temps. This classic beauty is perfect for adding a punch of color or pattern to your footwear, as well as hiding that overdue pedicure (can I get an amen?). There are so many fun styles and colors to choose from that the selection seems endless. Here are my top 10 favs. 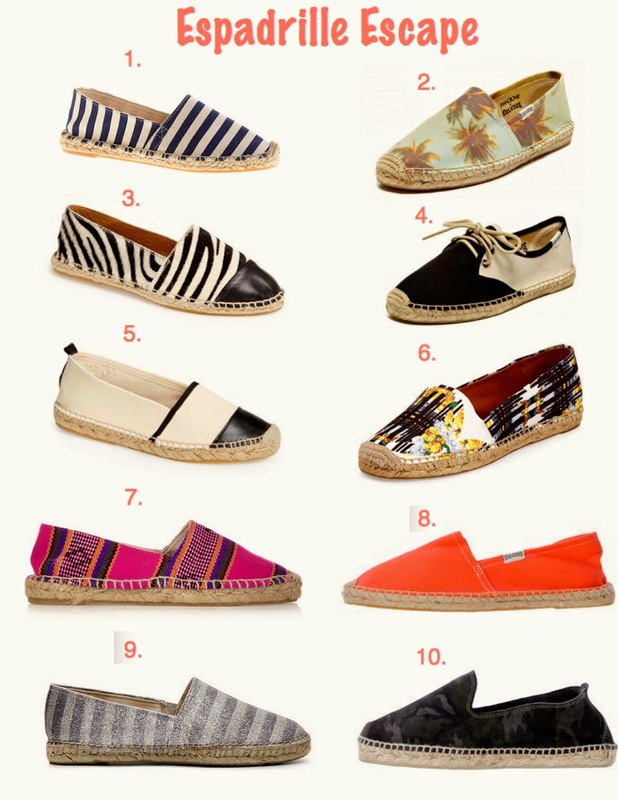 Images courtesy of Nordstrom.com, J.Crew.com, Soludos.com, DSW.com, Manebí.com, Neiman Marcus.com, Yoox.com.